NEW YORK -- A dog who went missing from his New York City home in August has been found and was reunited with his owner Tuesday. 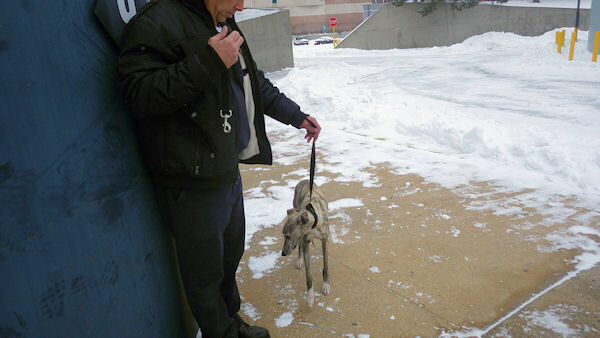 The wicked snowstorm played a role in the story, too, as FDNY Lieutenant Dave Kelly first spotted the dog a few weeks ago and decided to trap him to save him from the weather conditions. The dog, a whippet named Burt, vanished from the Manhattan home on August 20, 2014. Kelly had reportedly seen the dog rummaging for food at night time on the FDNY Bureau of Training grounds for about three weeks. He began to feed Burt with hopes of getting close enough to grab him, but to no avail. Then, late Monday into early Tuesday, Kelly set a trap (food and a dog cage) and captured Burt. See images of Burt, a whippet who vanished from his Manhattan home back in August. Burt is now back home, safe and sound. He then searched the internet and social media platforms, where he found a Facebook page entitled Bring Burt Home. Kelly contacted the family and returned Burt to his ecstatic owner. 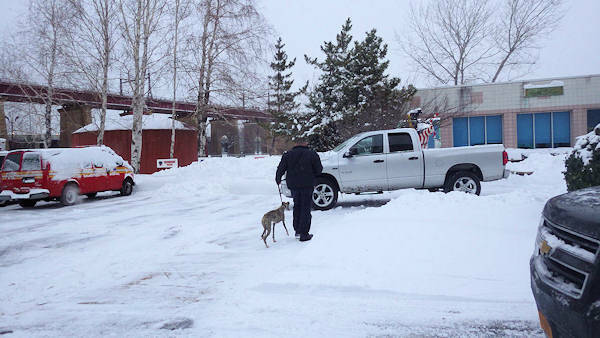 The latest post on the Facebook page page reads: "After five months, and of course in the middle of a mega snow storm, I get a call from a really nice fireman who has seen a whippet, nightly for 2 - 3 weeks, near the FDNY training facility on Randall's Island. The fireman has been feeding this dog, but only from a distance because if he gets to close the dog runs - really fast. Sound like my guy? Yup. I can't believe you are still out there, Burt!!!!!!!!!! #BringBurtHome."